Dana grew up in Woodland Hills. From the start there were signs that Dana would grow up to be an animal lover; the first word out of her mouth was doggie refer to her first “puppy love” Chow Mein her Chow Chow. Along with her puppy, she had two Sharpei’s, Macaw parrots, chinchillas, and tropical fish. In high school Dana worked as a dog groomer. She also volunteered at a local animal shelters, and a special need children’s facility with horses. After graduating from High school she attend Moorpark College’s highly acclaimed Animal training program EATM(Exotic Animal Training Management). While attending the animal teaching zoo Dana was trained in Animal husbandry, Animal Health and Safety, Animal Behavior, and Animal Anatomy/Physiology. 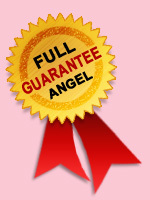 She also completed Petsmart program in puppy care and training. She then when on to receive her Bachelors degree from California State University of Northridge in Business management. Her goal was always to own a business that allowed her to provide love and care for animals. 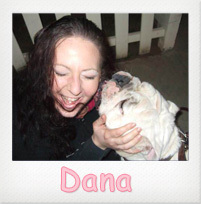 Dana specializes in large breed dogs and puppies.